The Town of Spanish held its swearing in of council this year and created history as a result. 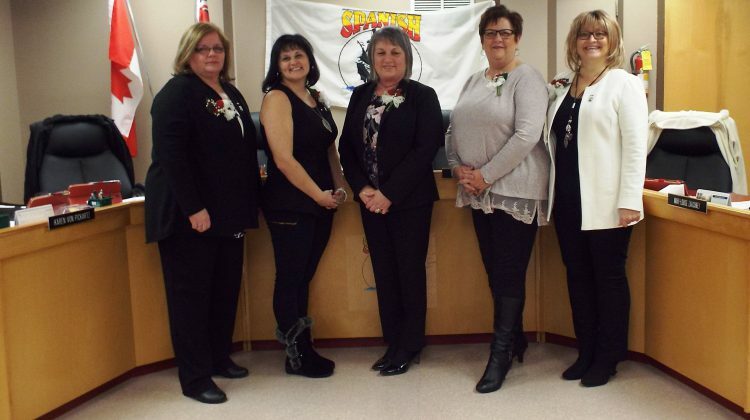 For the first time in Northern Ontario, a council is made up of entirely women. 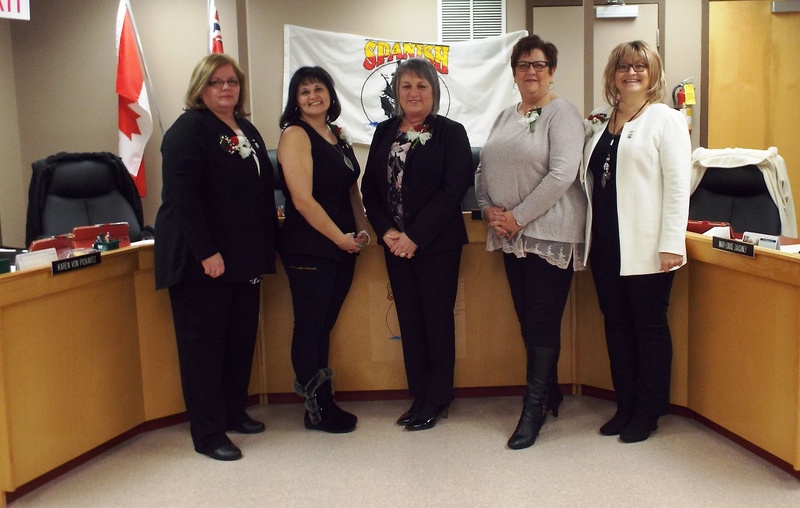 Mayor Jocelyne Bishop , Deputy Mayor Karen Von Pickartz and councillors Debra Joncas, , Mary-Louise Zarichney and Sandra Trudel were all sworn in Wednesday evening. Mayor Bishop is looking forward to working with council and staff in moving forward on growing the Town of Spanish.